The first edition of the Balkan Venture Forum in Skopje, proved that there is great excitement and need for a regional gathering of the top startups, experts and investors, joined together in a quest for progress through innovation. 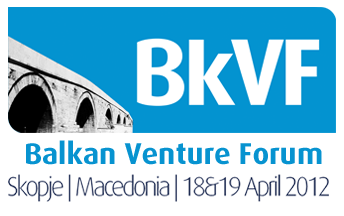 This allowed BkVF to grow into the largest Balkan’s innovation showcase and investment forum, which demonstrates the recent explosion of the regional startup eco-system and willingness to work together. It was very rewarding to see in Skopje many of the community leaders, brilliant startup founders and movers and shakers from all countries in the region. People like Bogdan, Georgios, Stevica, Mirna, Milos, Maxim, Rumen, Jure, Blaz, Filip, Kristijan, Ivo and others are the ones that are making it happen for everybody. Even the ones who didn’t make it, but helped remotely, like Natasha and Roxanne have contributed immensely. Not to forget the fantastic support from friends coming from further abroad such as the Pirate Summit crew (Manuel, Till, Maurice, Waldemar, Fabian) , Artur from PioneerFestival, Tomas from Blossom.io, Dr. Opper from Israel and many other cool people who contributed their know-how and fun-loving attitude to the event. Such energy contributed to the launch of the second BkVF only six months after the first. ← RSG Capital i Spintop Private Partners na BkVF 2012 – ko su oni i šta traže? !